By comparing reconstructions of atmospheric CO2 concentrations and sea level over the past 40 million years, Southampton researchers have found that greenhouse gas concentrations similar to the present (almost 400 parts per million) were always associated with sea levels at least nine metres above current levels. 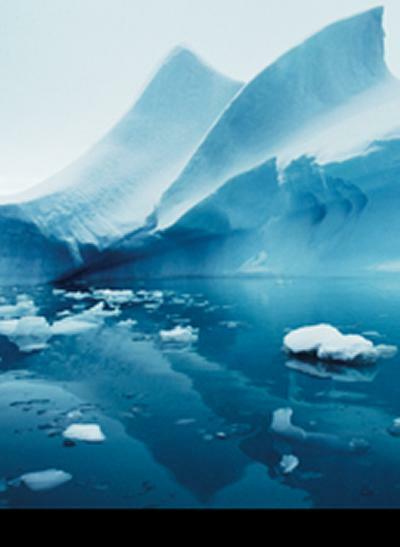 The study determined the ‘natural equilibrium’ sea level for CO2 concentrations ranging between ice-age values of 180 parts per million and ice-free values of over 1,000 parts per million. It takes many centuries for such an equilibrium to be reached, therefore while the study does not predict any sea-level value for the coming century, it does illustrate what sea level might be expected if climate were stabilised at a certain CO2 level for several centuries. The researchers compiled over 2,000 pairs of CO2 and sea-level data points, spanning critical periods within the last 40 million years. Some of these had climates warmer than present, some similar, and some colder. They also included periods during which global temperatures were increasing, as well as periods during which temperatures were decreasing. “This way, we cover a wide variety of climate states, which puts us in the best position to detect systematic relationships and to have the potential for looking at future climate developments,” says co-author Professor Eelco Rohling, also of University of Southampton Ocean and Earth Science. The researchers found that the natural relationship displays a strong rise in sea level for CO2 increase from 180 to 400 parts per million, peaking at CO2 levels close to present-day values, with sea level at 24 +7/-15 metres above the present, at 68 per cent confidence limits. According to the study, sea level stays more or less constant for CO2 changes between 400 and 650 parts per million and it is only for CO2 levels above 650 parts per million that the researchers again saw a strong sea-level response for a given CO2 change. Based on these results, which document how the Earth system has operated in the past, future stabilisation of CO2 at 400-450 parts per million is unlikely to be sufficient to avoid a significant steady long-term sea-level rise. The study is published this week online ahead of print in Proceedings of the National Academy of Sciences of the United States of America.